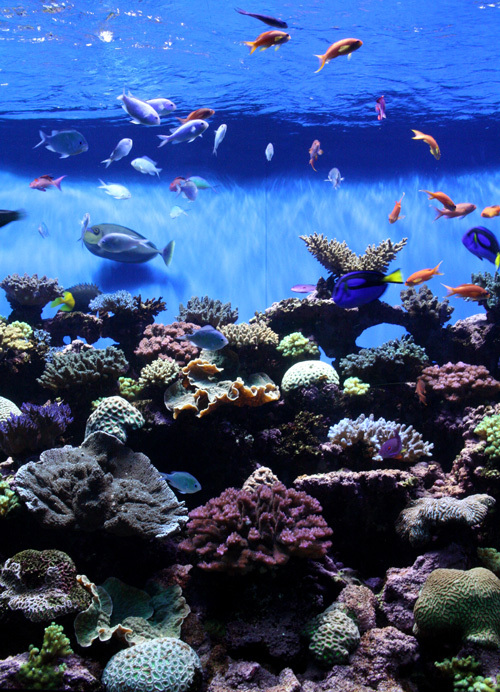 Birch Aquarium’s coral habitats feature captive-raised coral to lessen our impact on the environment. A study released this week by marine biologists from Scripps Institution of Oceanography at UC San Diego provides the basis for a new, non-invasive way scientists can assess the health of corals in the wild, a discovery aided by Birch Aquarium’s staff and the aquarium’s live coral collection. Scripps researchers Melissa Roth and Dimitri Deheyn discovered that little-understood fluorescence—or light—produced by corals can be an indicator of stress, and subsequently, their overall health. The new findings will have a significant impact on how scientists monitor the vitality of these unique and productive ecosystems, which are under threat from warming seas and ocean acidification. To conduct the study, Scripps researchers worked closely with Birch Aquarium’s husbandry team, which nurtures captive-raised coral onsite. Our aquarists supplied the researchers with fragments of Acropora yongei, a common branching coral that builds reefs in the Indo-Pacific Ocean, so they would not need to collect from the wild. Our aquarists also provided critical husbandry expertise throughout the study, such as maintaining lighting and water movement in the experimental tanks. In their lab, Roth and Deheyn tested the coral under various temperatures and found that fluorescence dropped when the organisms were introduced to cold or heat. 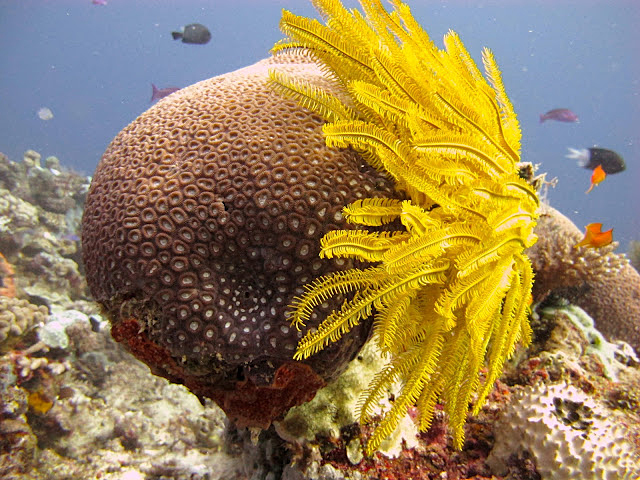 Corals exposed to cold temperatures were able to adapt; corals exposed to heat bleached (lost their symbiotic algae). As the public outreach center for Scripps Oceanography, Birch Aquarium at Scripps is thrilled to be a part of this cutting-edge research and we’re excited to share researchers’ findings with our visitors.